Customizing Manual 3 On Page Multi Purpose Business Checks and ordering from Checkomatic.com is easy, reliable and very fast (next day shipping and even next day delivery are available). Don’t forget to pick a color, upload a logo and fill in the data required, and you’re all done! We ship next day. Choose to order in bulk and you’ll save more than you think. Orders that arrive Monday - Thursday will be printed and shipped UP TO 3 DAYS. Shipping options will be displayed when checking out. This option is available for just $20.00. 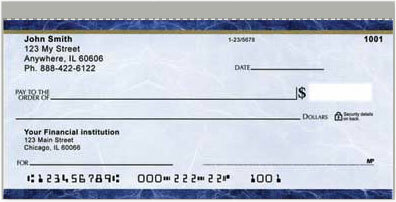 The checks came timely and are very high Quality, I would reccomend these for your new business! I already use this site for another companies. The price, quality and time to delivery is satisfactory.